During WW I at Langley Field, Roswell E. ("R.E.") Franklin applied his Rensselaer Polytech chemical engineering degree to develop wet-plate color photography for aerial reconnaissance. 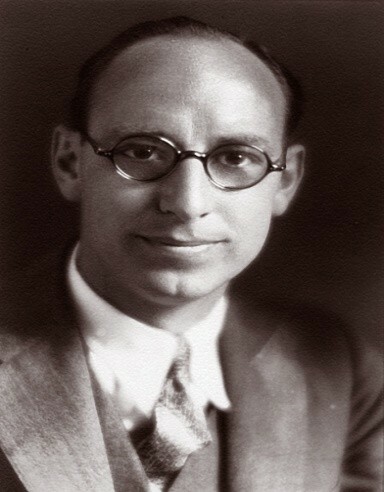 After the war, he earned two engineering degrees from the University of Michigan and stayed on in Ann Arbor to instruct from 1923 until 1934, when he left to form Franklin Engineering. By 1928 the U of M Glider Club was active. R.E. And his 14-year-younger brother Wally saw a German Zoegling training glider and, since there were no American glider manufacturers, the Franklin brothers decided to build a glider based on the Zoegling but with a simplified wing rib construction. 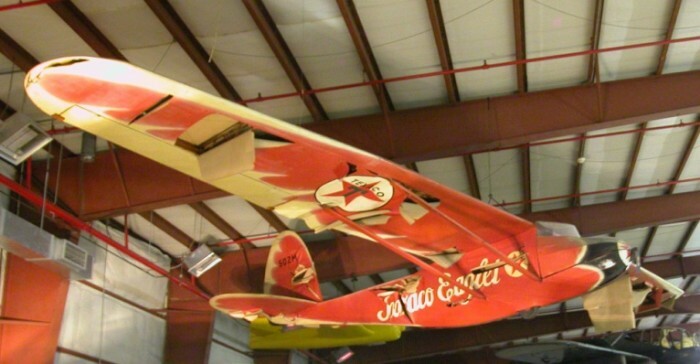 In winter, UMGC members learned to fly this first Franklin glider by auto-towing it off nearby frozen Barton Pond. Luckily for Hawks and his proposed publicity flight, the third Franklin design, called The Big Ship was already being built. Its 45-foot semi-tapered wing and enclosed cockpit would be even better for Hawks' proposed eight-day endurance flight. Texaco bought The Big Ship in the spring of 1930. Hawks successfully flew it, newly christened as Eaglet, from San Diego to New York City, garnering national publicity. 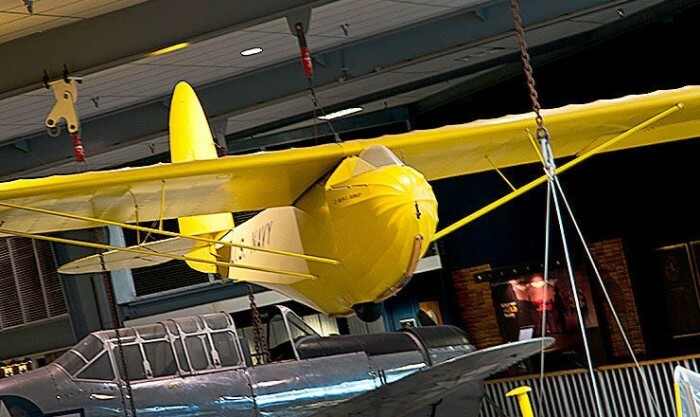 He flew it widely that summer at air shows and, in the fall, Texaco donated the glider, re-named once again as Texaco Eaglet, to the Smithsonian Institution where it hung for many years with only one other plane, the Spirit of Saint Louis, in the Smithsonian's original building, the Castle. Currently in storage, The Big Ship/Eaglet will be recovered for permanent display at the Udvar-Hazy Center outside Washington , DC. The fourth and final Franklin glider, the PS-2, was meant for mass production. It was aimed at students as well as licensed pilots (PS-2 stood for "Primary and Secondary, too"). It had 36-foot wing span with a 5-foot chord, and empty weight of 220 lbs., an L/D of 15, and minimum sink of 2.5 fps. It flew honestly and it survived many, many student glider pilots, each of whom learned to fly all alone; 2-place trainers came later. Some 60 PS-2s were produced from 1930-1934. PS-2 Milestones: 1) PS-2s won three of the first four National Soaring Contests: 1930, 1031, 1933 - all in Elmira, NY. 2) Warren Eaton, co-founder and the first President of SSA had a stable of PS-2s he flew widely to demonstrate and promote soaring in the early 1930s. 3) Three PS-2s made up the 1934 Lustig Sky Train, a trial flight of airline and mail delivery. The gliders, towed in tandem from New York City, were dropped off over Philadelphia, Baltimore and Washington, DC. R.E. flew the Philadelphia-bound PS-2. 4) Two PS-2s flew a Miami-Havana-Miami sky train in 1935. 5) In 1934 Ralph Barnaby used five Franklin PS-2s in an experimental U.S. Navy primary flight-training program in Pensacola. One still hangs in the National Naval Aviation Museum. 6) Toward the end of the last century many Soaring magazine eulogies noted with very obvious pride that the late pilot "had learned to fly in the club Franklin". PS-2s were everywhere in the 1930s. R.E. Franklin supported gliding from the late 1920s through the 1950s, including serving as SSA Director from 1932 to 1944. He frequently officiated at soaring meets and contests, especially at the National meets in Elmira and regional meets in the Midwest, notably at Sleeping Bear Dunes on the northwest shore of Michigan's lower peninsula. R.E. Franklin, with his brother Wally's invaluable skills and help, had created the Model T of American soaring. R.E. mentored many pilots in the early days of soaring. In 1956 he was awarded SSA's highest honor, the Warren Eaton Memorial Trophy.